As Uncle is prone to asking:Why are anti-gunners so violent? In closing…. 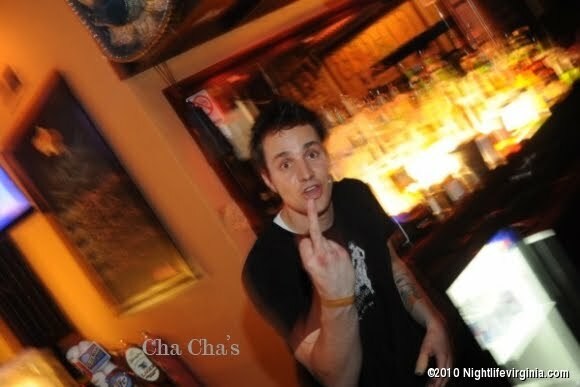 If you attempt to walk into my bar with a concealed weapon and for whatever reason you didn’t conceal it enough…. You won’t have enough time to draw your piece cowboy. Your face will already be on the pavement. I promise. I realize that this is nothing more than blowhard bravado from someone with serious insecurity issues, but I’m thinking that if “his bar” (I gather he’s an employee, not the owner) doesn’t actually post “no guns” signs and he follows through with what he claims he will do, he’ll end up an unemployed bartender in short order…not to mention behind bars for assault. But, hey, WE’RE the violent ones right? Update: Notably, his blog doesn’t appear to permit comments. Another telltale sign of insecurity: can’t tolerate dissenting opinions. Update 2: In comments, courageous Mr. Anonymous posted, without commentary, a link to the picture on the right. It was obviously someone for whom intelligent discussion and reasoned debate aren’t exactly strong suits. Hmmm. I wonder: who could it have possibly been? Keep it classy there friend. BTW: I wonder how Cha Cha’s feels about the free advertising they’re getting. Sure makes me want to run right out and spend my money there, how about you? This entry was posted in PSH by Sailorcurt. Bookmark the permalink. Hmm, oddly enough, comments aren't allowed. Where have we seen that before? So Jack's making $2/hr and working for tips- but has a problem with highly paid electricians and cable contractors? With his anger control issues, I wonder how long he's have 'a spotless record' jf he ever carried a gun. Fallacious stereotypes, namecalling, childish foot-stomping, threats of retaliation, threats of violence, a temper he obviously barely has in check, and general-purpose inability to make anything even approximating a rational, logical, or coherent point. On top of fingers-in-the-ears Reasoned Discourse. 1) It's a very bad idea from the liability standpoint of your employer to issue threats toward law-abiding patrons. Assuming he ever manages to muster enough courage to take a poke at a legally-armed customer, both he and his employer can fully expect a nice juicy civil suit to go along with the criminal charges. 2) The Internet is Forever. Jack's tainted now, and I wouldn't hire him on a bet. Could be all the coke this guy seems to admit to doing is making him a little paranoid?